On my fourth day in the UAE we lounged by the pool of the Tilal Liwa hotel resort all morning until check out. After some good relaxation by the pool we were rejuvenated enough to face the city of Dubai. The above picture is in front of a camel farm in the Liwa desert. There was a nearby camel race track. Try not to cringe, we went to McDonalds. We had just entered into Dubai and had been on the road for several hours, you’ve been there, don’t judge. 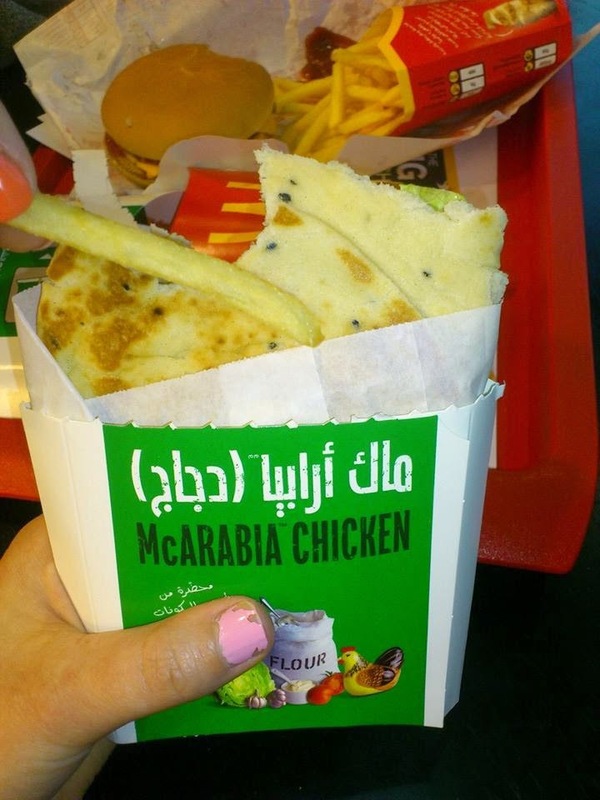 Besides, I retained a bit of a cultural experience by ordering the “McArabia”, right? It was actually fairly decent for McDonalds, a chicken filet on a flat bread, with lettuce, tomato and mayonnaise I believe. I was mostly just amused by the name McArabia. 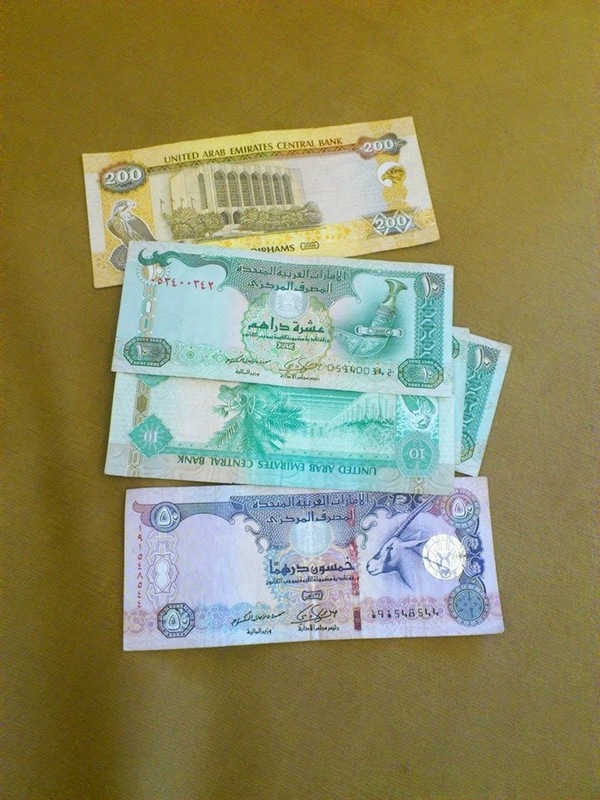 Arabic Dirhams. Current exchange: 1 AED= 0.30 CAD. Dubai looks very much like any North American city. When we first checked into our hotel…which I stayed in the car for as we didn’t need another refusal due to my lack of passport, we walked around a bit and got some coffees. One thing of note were the hundreds of cards placed in people’s windshields for contacting ladies of the night. In fact, when we arrived back at the hotel, we were accompanied by my cousins boyfriend. There were two entrances into the hotel, one through the parking lot and one through the lobby, we entered through the latter. I was still a bit nervous about not having a passport, so when we arrived I bolted quickly for the elevator to avoid the hotel staff. Since the female:male ratio was 2:1, the staff suspected that we were “Pretty Women” and ended up questioning my cousins boyfriend, until he sorted it out with them. 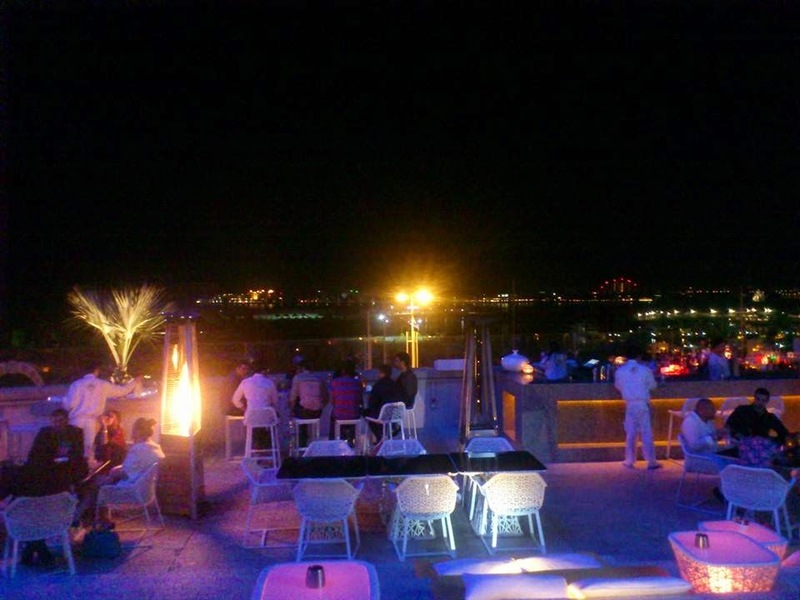 I’m not huge into bars and going out, but as that is a huge part of the UAE’s expat culture, we decided it was an important part of experiencing Dubai. Normally in the UAE expat women are expected to dress fairly modest. Typically pants, a t-shirt and a sweater to throw over just in case, unless you are at the beach. However, after the sun sets it seems these rules are null and void. The dress code in a bar, or club in Dubai is equivalent to that of any I’ve been to in the western world. 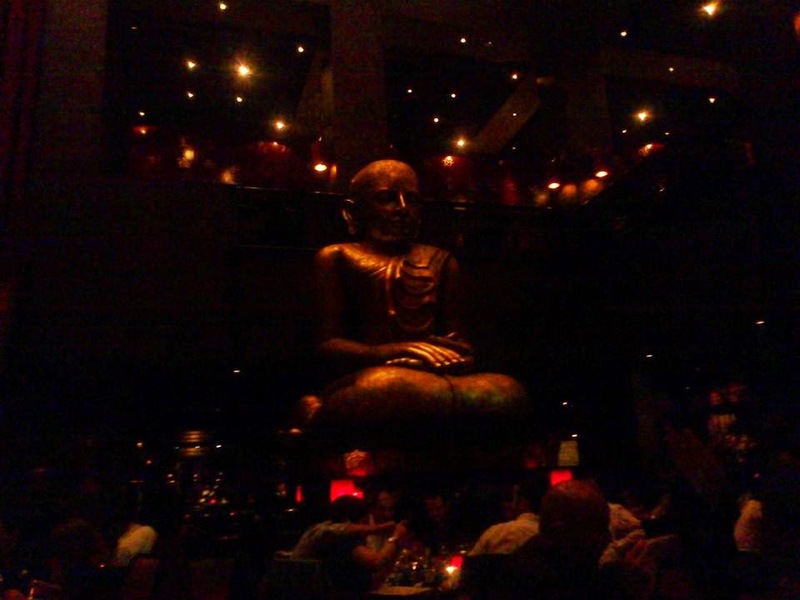 We went first to Buddha Bar, which has a giant bronze Buddha in the back. We ordered a few cocktails and sushi after meeting up with my cousins boyfriend. Following Buddha Bar we went across the court to the Grosvenor hotel, with a rooftop bar. There we met a few local Emiratis and ended up going back with them to Buddha Bar for last call. The picture below depicts the view of Dubai’s famous Palm from the Grosvenor rooftop. The Palm is a set of man made islands in the Persian Golf, which resemble palm trees from an aerial view. My night out in Dubai was fun, although hardly the cultural experience people are looking for when the fly half way around the world. I very well could have been out with friends at a bar in Toronto…although the weather wouldn’t have been quite so nice in February.